Home to a variety of middle-and upper-class businesses, the Butler Exchange occupied a prominent place in downtown life, much like the neighboring Westminster Arcade. In 1911, sister dressmakers Anna and Laura Tirocchi moved their new business into room 438. Their only competition in the building was Henry R. Domenico, Ladies’ Tailor and Furrier, who worked out of room 448. An Edwardian society lady could promenade through the building and come out with a full new wardrobe and makeover, as the Butler Exchange also hosted a milliner, a purse manufacturer, a manicurist, a masseuse, two hairdressers, and seven shoemakers. She could even leave her children with one of its two dozen music teachers and take an hour or two at the Providence Ladies’ Gymnasium, founded and popularized by author Charlotte Perkins Gilman in 1881. The building was also the first home of the Providence Public Library before it moved in 1900. 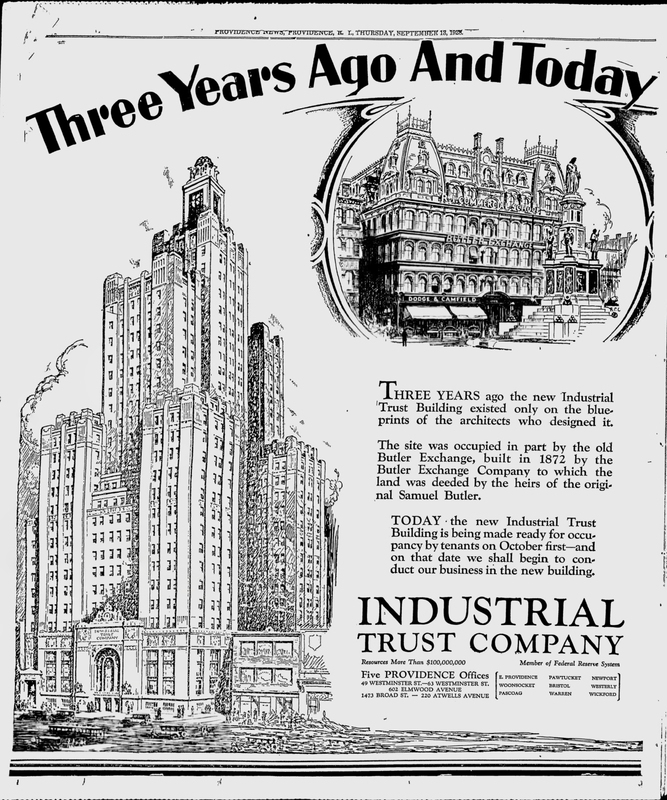 The Tirocchi’s design business hosted by the Butler Exchange fit in well with their neighbors; dressmaking businesses flourished in the Arcade, as well as out of ladies’ apartments in the Lederer and Conrad buildings several blocks away. 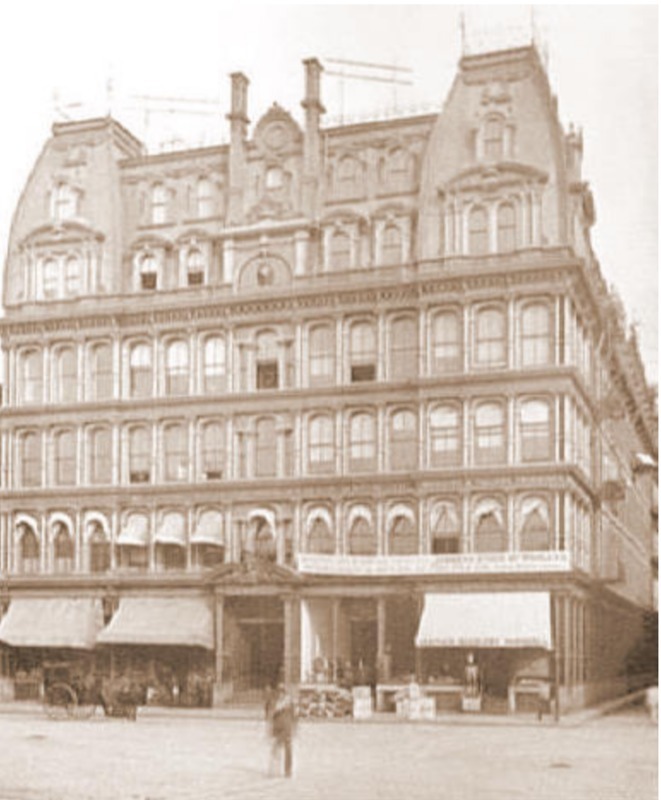 (The Conrad Building, at 139 Mathewson, is now the Hotel Providence.) These small shopfronts and office spaces enabled women to publicly make their own money within the profession, when the most common style of business in sewing was piecework within the home. Over 800 women were listed as dressmakers in the 1911 city directory, but only about a dozen of them had separate shops or workplaces of their own. The downtown area around Westminster street facilitated this independence and placed their businesses in the public sphere, where new costumers could more easily find them, instead of having to rely on neighborhood word-of-mouth. The Butler Exchange’s closest neighbor was Providence’s first rail station, and its proximity to the station along with its prime position in the east side of the downtown area made it a heavily trafficked location. It would likely still be in place today were it not for a devastating 1925 fire, which destroyed most of the building. 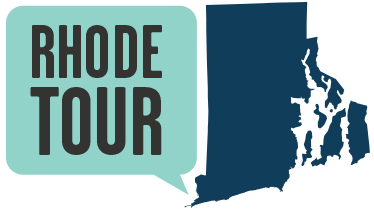 Providence, RI. Butler Exchange. 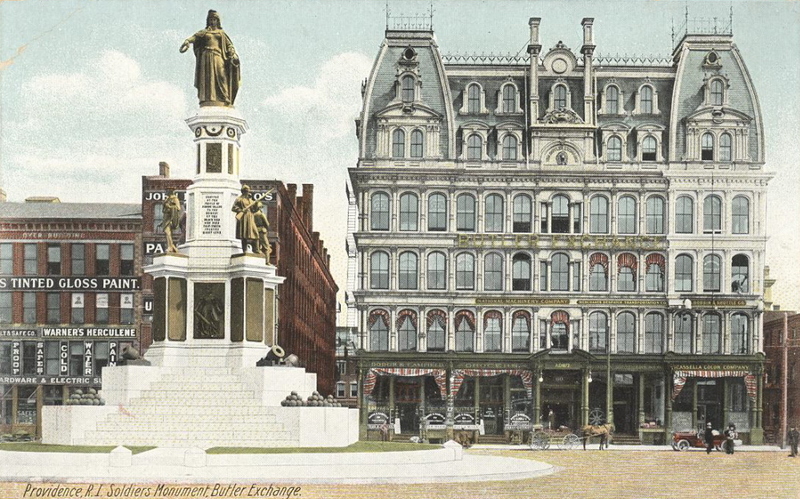 : This is a postcard showing the façade of the Butler Exchange Building. ~ Source: RI in Vintage Postcards, Flickr ~ Creator: Gerry D.
Kenna Libes, “Ghost Architecture,” Rhode Tour, accessed April 21, 2019, http://rhodetour.org/items/show/253.